My mom was such a good cook growing up that I didn't have any cookie making traditions myself. Instead we sat around gorging ourselves on her Christmas cookies (mexican wedding cookies, dipped biscotti, and shortbread toffee cookies) which were far more delicious and beautiful than anything my brother and I could have created. Now that my mom has stopped the care-package train and boxes full of amazing baked goods no longer grace my doorstep, I suppose it's up to me to keep up some semblance of cookie making during the Christmas season. The other day, sitting at home itching at my hives, I decided I needed a good hour-long distraction from misery and set about making these faux snickerdoodles. Apparently the snickerdoodle specifications are serious - to be a true snickerdoodle, you must use cream of tartar in your recipe. I don't know about you, but I don't keep cream of tartar in my house and don't know where on earth to find it in the grocery store. So I hunted for a while online for a recipe that didn't call for CoT and finally found this Martha Stewart Recipe. I wasn't disappointed. These cookies filled the house with the smell of butter and cinnamon and were warm, fluffy, and perfect for snacking on excessively for the next few days! Recipe below. Preheat oven to 350 degrees. Sift together flour, baking powder and salt into a bowl. Mix butter and 1 1/2 cups sugar in your electric mixer using the paddle attachment on medium speed until fluffy (~3 minutes). Add in eggs on medium speed until mixed (under a minute). Reduce mixer speed to low and gradually mix in flour mixture. Mix cinnamon and 2 tablespoons of sugar in a small bowl. Shape dough into 1-2" balls and roll in cinnamon sugar until covered. Line baking sheet with parchment paper and space dough about 3 inches apart (these cookies spread so beware!). Bake cookies, spinning baking sheets halfway through, until edges are golden, about 12-15 minutes. Let cookies cool on cooling rack. Enjoy with some milk and Christmas cheer! Well, I do not have cream of tarter in my house either so who knew that a snickerdoole is only a snickerdoole with cream of tarter. 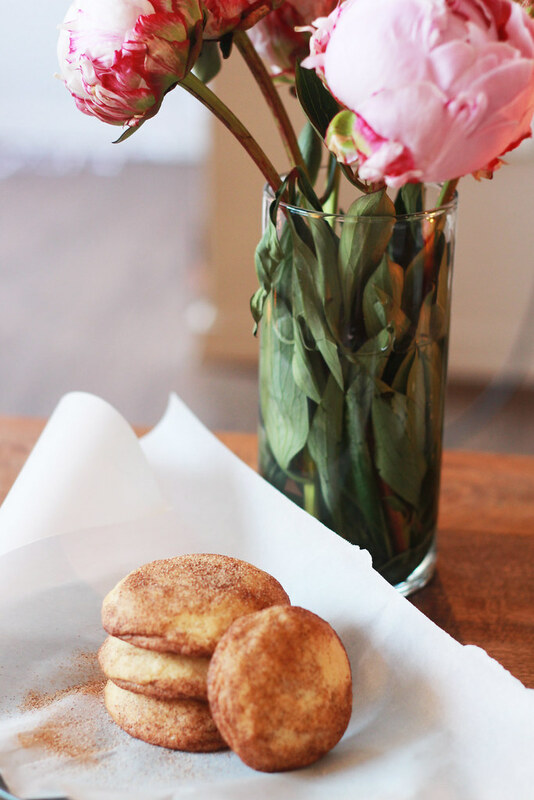 Love your presentation with the beautiful peonies…and yes, the cookies sound and look delish! oh gosh, these look and sound delicious! Those look delicious and I love these shots! Such pretty pictures. 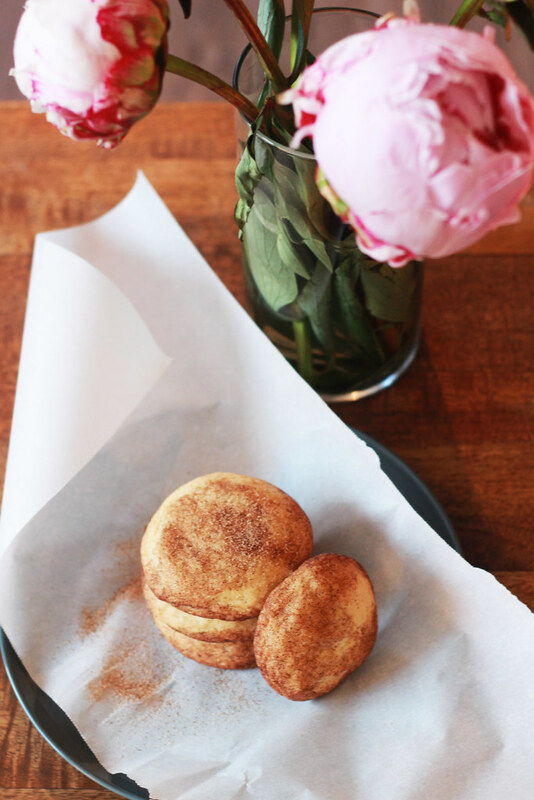 Those snicker doodles look SOOOOOO good. I need to whip up a batch. It was the same way for me growing up and at best I decorated the cookies haha. 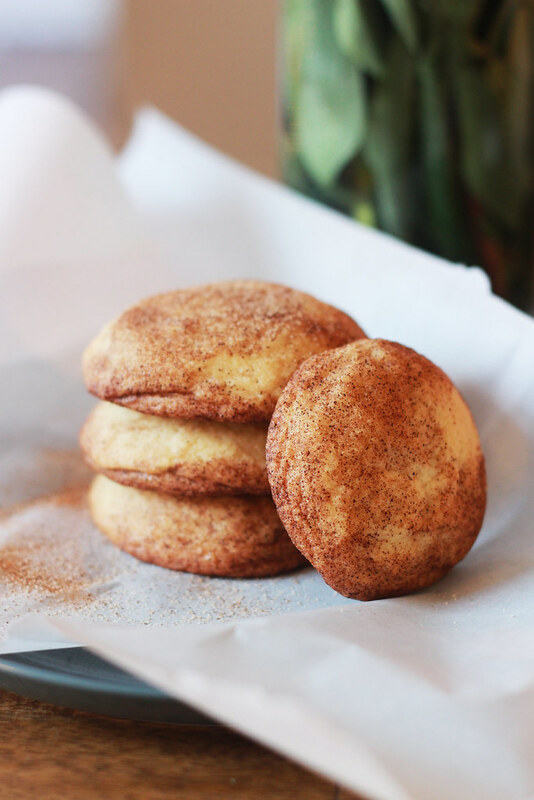 I love this recipe and although I haven't had any for a while, Snickerdoodles are some of my favorite cookies! 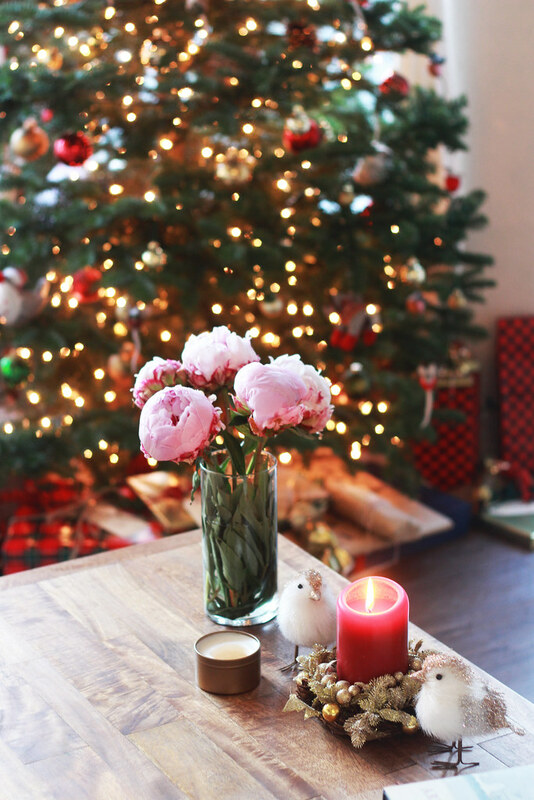 I love the styling of these photos too, peonies are seriously the best! 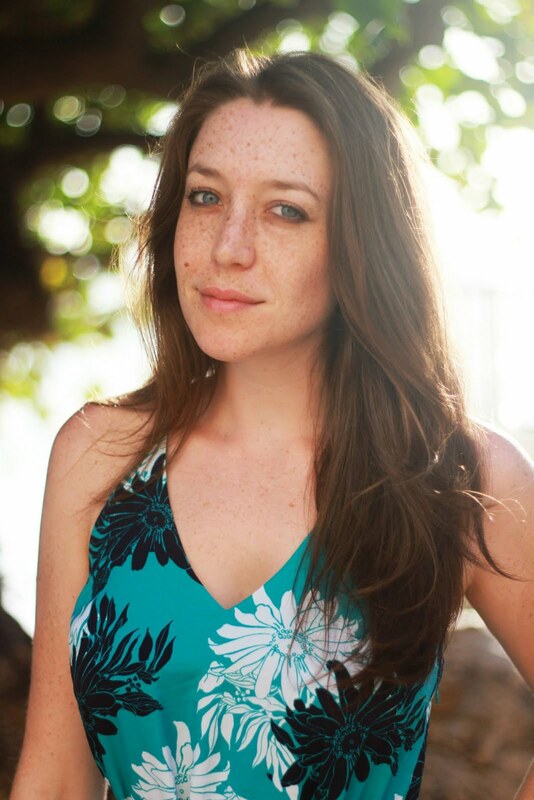 Yum - these photos make me want to bake some snickerdoodles. Thank you for sharing this recipe! These look wonderful! Is is horrible to admit that I've never tried Snickerdoodles before?